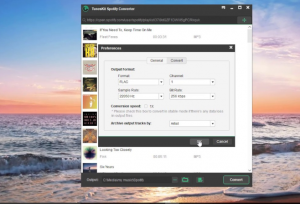 We have to tell you all about Tuneskit Spotify Music Converter, as this is one of the best programs to use if you want to convert your Spotify music into other formats. 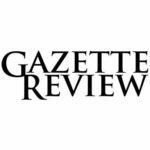 This program runs on many different versions of Microsoft Windows, including Windows XP, Windows 7, Windows 8, and Windows 10. You can get a free trial of Tuneskit Spotify Music Converter, and then if you enjoy the program you can buy it after your trial ends for $30. This program will help remove DRM from Spotify, and it is super easy to use. That is one thing we love about this program is just how easy it is to use, even if you have never tried to remove DRM before. 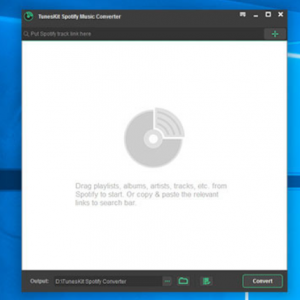 The program does everything for you and the steps are easy to follow, and it will allow you to listen to Spotify on any device even if you are offline. 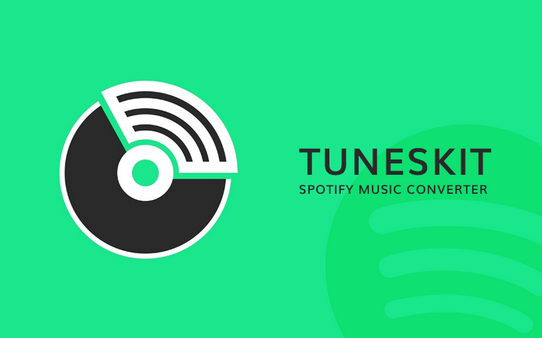 Continue reading on to learn more about the Tuneskit Spotify Music Converter. We will tell you how this program can easily remove DRM from Spotify and convert the music into other formats. One of the benefits of Tuneskit Spotify Music Converter is that it will convert the music into many different formats. Once the DRM has been removed from the Spotify music, you can convert your songs, albums, and more into so many file formats. You will be able to donvert into M4A, WAV, AAC, MP3, FLAC, and M4B. The best part about this conversion process is that the music will convert losslessly, which means you will get no loss of music quality. We wanted to tell you more about the lossless conversion of music in a little more detail for a minute. When we say losslessly, we mean that there is no loss of audio quality when you convert from Spotify to another file format. The original metadata and quality of the music is preserved. There are other similar programs out there that will reduce the quality of the audio as it rips the tunes from Spotify. This could give you background noises or even weird sounds within the audio. Obviously, these unintended sounds will reduce the quality of the music from Spotify. This is really where Tuneskit Spotify Music Converter shines, because it will leave behind the original audio from Spotify. The newest technology in DRM music decryption is used in this program. That allows for the DRM to be removed without losing the audio quality. Information is still retained through the metadata including the composer, track number, artist, song, genre, and much more. With Tuneskit Spotify Music Converter, you will also enjoy quick music conversion. Several other programs out there take forever to convert the music, and most of the time the sound quality is reduced significantly. When you use Tuneskit Spotify Music Converter, you will get music conversion around 5 times quicker than other similar programs. What is even better is that the entire conversion process of your music is done automatically. That means you no longer will need to sit around and wait. Some programds require you to click on another button in order to proceed with the music conversion. The fact that the conversion is done automatically is really one of the huge benefits of this program compared to others. Talking about other benefits of this program, we have to mention how easy your music library can be managed with the program. This program will allow you to save your output tracks automatically by either album or artist. 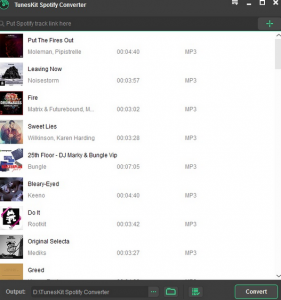 The feature can automatically sort all of the music for you. We love this feature because you do not have to manually sort the files after they are converted. If you remember using other programs, it used to take forever to sit there and manually sort the albums or songs. This was taking valuable time away from other things you could be doing. You can even customize these output settings, such as changing the sample rates, bit rates, and channels. 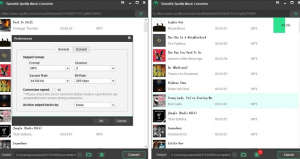 What we also love about Tuneskit Spotify Music Converter is that it is super easy to use. It is so easy to figure out even if you have never used a similar program before. The interface is very simple and easy-to-follow, with instructions that guide you along the way. New versions are constantly being released that bring new features and an even better user interface. The newest release really is one of the easiest conversion programs you will find. Even if you are not into computers or technology that much, you will have no issues using this program. Since most things are done automatically in Tuneskit Spotify Music Converter, you will not have to worry about fiddling around. It takes a lot of time if you are trying to understand what you are supposed to do next. Once you purchase the program, you will never have to worry about buying the upgrades either. The upgrades to the program are completely free once you have purchased it for the price of $30. This low price is also a selling point, since it is one of the cheaper options out there for converting your Spotify music to other formats. Some other programs charge three times that amount and it requires you to actually do some of the work. This program is only $30 and does all of the work for you. We highly recommend this program because it is one of the easiest and quickest ways to convert your Spotify music. It can quickly and easily remove the DRM, and allows you to listen to your music anywhere from any device!